Best Buy has knocked $200 off all models of RIM's fledgling BlackBerry PlayBook, a move perfectly timed with the unveiling of Amazon's $199 tablet, the Kindle Fire. 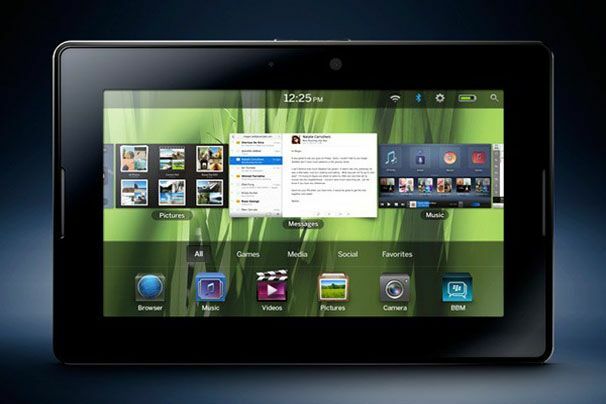 Now you get a 16GB PlayBook for $299 (formerly $499), a 32GB model for $399 (formerly $599), and a 64GB model for $499 (formerly $699). But even at these prices, RIM still hasn't learned the HP Touchpad's lesson, which was furthered by the Kindle Fire: to be competitive with the likes of Apple's iPad, you need to make the price painfully low. This also isn't the first time the PlayBook has seen hefty price cuts. At the beginning of September, Best Buy sold the tablet for $50 to $150 off. Then, just days ago, Staples started selling the 16GB model for $299 after a $100 rebate on a Visa prepaid card. Office Depot and Best Buy (again) joined the sale by giving away store gift cards as incentives. Best Buy's current $200-off deal is the first I've seen that comes without any hitches, like gift cards or instant rebates. It seems like a permanent cut. This clearly seems to be Best Buy's attempt to scrub the stink of RIM's failure off its hands. It's doubtful that RIM's price-slashing strategy will work. RIM hasn't released sales numbers for the BlackBerry PlayBook, but shipments dropped to 200,000 units last quarter, from 500,000 the quarter before. That's not good. And while the price cut is undoubtedly painful for RIM, it may not have been dramatic enough. When HP sounded the death toll for the HP Touchpad and slashed the prices to $99 and $149, the once-ignored tablet became an overnight sensation. The Touchpad even sold for upward of $350 on eBay -- its original, non-reduced price -- just because of the fire sale hype. But even at a whopping $200 off, the BlackBerry PlayBook is still too expensive, especially when you consider that the price reduction is the exact cost of the Kindle Fire. Looks like the BlackBerry PlayBook will be joining the ranks of the other casualties of the tablet wars, unless, of course, it gets another $200 off.